I think this soup is best cool, but it’s also tasty warm. You can make it ahead and let the weather dictate which way to go. Cut the crust off the bread and discard. Cut the bread into tiny cubes (about 1/3 inch) to yield about 1-1/2 cups. 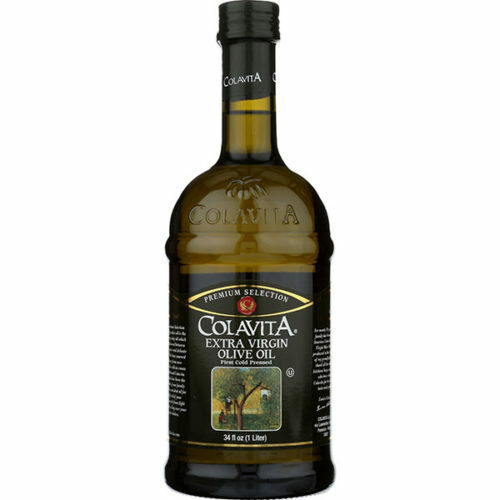 Heat the olive oil in a 10-inch sauté pan over medium-low heat. 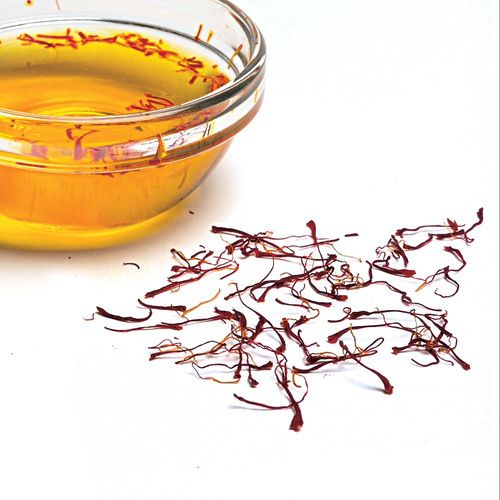 Crumble the saffron and gently cook for about 1 minute to infuse the oil with the saffron color. 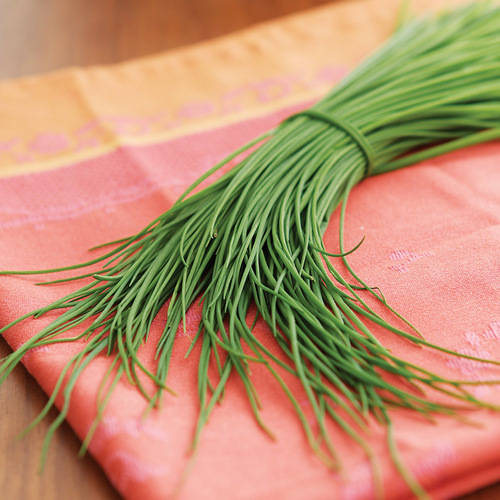 Watch your heat; saffron can burn quickly. Add the bread cubes and toss to coat with the oil. Sprinkle with 1/4 tsp. salt and cook, stirring occasionally, until the croutons are golden and crunchy, 3 to 4 minutes. Transfer the croutons to a plate to cool. Trim the tough bottoms off the asparagus and cut the rest of the spears into 1-inch pieces. Melt the butter in a 3- to 4-quart saucepan over medium-low heat. 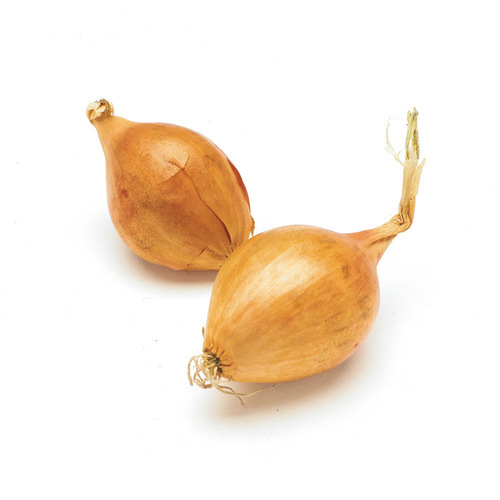 Add the shallots, and cook, stirring occasionally, until soft but not colored, about 5 minutes. Add the cream, 2 cups of water, 2 tsp. salt, and 1/2 tsp. white pepper. Increase the heat to high and bring the liquid to a boil. Add the asparagus, lower to a simmer, and cook until the asparagus is tender (taste a piece to see) but still quite green, about 5 minutes. Purée the soup in batches in a blender and pass it through a fine strainer, pressing on the solids, into a bowl (if you plan to serve it cold) or into a clean saucepan. To serve, reheat the soup if serving it warm. Stir in the lemon juice. Season to taste with salt and pepper and more lemon juice, if you like. 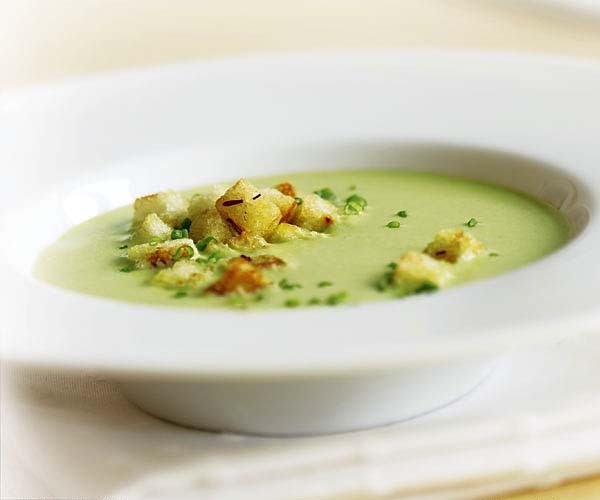 Serve the soup in cups or small bowls, topped with the croutons and chives. Once completely cooled, the croutons can be stored in an airtight container for a couple of days. The soup will keep, covered and refrigerated, for up to 2 days. Very good but would like to try a recipe that doesn't use cream. I recently had an "asparagus-potato soup", prepared by a local New Haven chef and it was outstanding. It did not use a cream base. Delicious! The pure asparagus flavor and creamy texture is lovely for a starter to a meal. I served small portions at a dinnner party, which was perfect, since it is so rich.